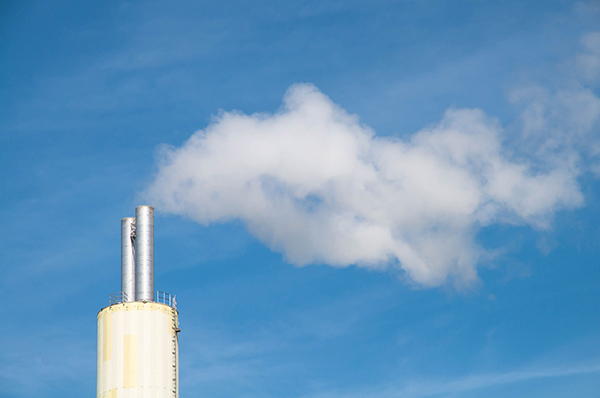 The second half of the year has seen two large UK-based bioethanol manufacturing plants mothballed by their owners as the sector suffers from a combination of cheap imports and policy uncertainty. In October Germany-based CropEnergies said it would close its Wilton, UK site, which last year produced 567,000 cubic metres of bioethanol. The moved followed hot on the heels of UK-based Vivergo Fuels, which had "regretfully" stopped production at its Hull-based facility a month before. While there are many issues hitting production in the UK, delays over the potential introduction of the bioethanol and petrol blended E10 fuel appear to be the biggest concern. A consultation, which until 16 September, looked at how the UK could boost its use of renewable fuels in line with the updated Renewable Transport Fuels Obligation (RTFO) announced last spring. Fuel suppliers could choose to increase the percentage of bioethanol in petrol beyond the current 5% (E5) up to a limit of 10% (E10) under the consultation, but no further announcements have been made. Speaking to ENDS European bioethanol trade body ePure’s secretary general said: "It is disappointing that while countries struggle to reach their targets for renewables in transport, many are failing to take advantage of a domestic solution that exists now and delivers big greenhouse-gas reductions. "By adopting E10, EU countries could have an immediate impact on transport decarbonisation – and also protect local economic investment and jobs. But instead, as the IEA recently warned, European policy support for biofuels is weakening at a time when they could help deliver even better GHG-reduction results – and at a time when other countries around the world are boosting ethanol as a transport energy solution." While across Europe imports of Argentina biodiesel is bankrupting Europe’s domestic production sector, trade body the European Biodiesel Board (EBB) warned. European producers complained to the Commission in 2017 about Argentinian state aid and differential taxes for its biofuel production. The complaint came after the EU was forced to remove tariff barriers on biofuel from the South American country following a complaint to the WTO. The EBB called for provisional anti-subsidy duties against Argentina, but the Commission has yet to act. Adding to the troubles for the sector the European Commision has also adopted a statement of objections (SO) in benchmark case involving bioethanol producers Belgium-based Alcogroup, Sweden-based Lantmannen and Spain-based Abengoa. The Commission's move looks at potential illegal practices in the sector. Policymakers should discourage forms of bioenergy that entail "unacceptable" environmental and social effects, the Paris-based International Energy Agency (IEA) said. In Renewables 2018 the agency said bioenergy accounted for half of global renewable energy consumption, but stricter regulation should be applied to only encourage growth in technologies that reduce greenhouse emissions. The biomass-fired Grangemouth Renewable Energy Plant and the waste-processing Station Yard facilities have been dumped from the UK’s contracts for difference (CfD) scheme after failing to have make "sufficient progress". The UK government-backed Low Carbon Contracts Company (LCCC) revealed another five facilities were still in the process, but only two had made their milestones so far. One other plant had previously dropped out. The UK’s government's proposed plan to rule out financial support for urban-based biomass cogeneration plants will hit renewable heat production. In a consultation the government confirmed the change was "expected to lead to lower renewable heat deployment, which would otherwise be contributing to meeting the UK’s Renewable Energy Directive commitments". The consultation also said the ban would have "positive impacts" on air quality in urban areas. 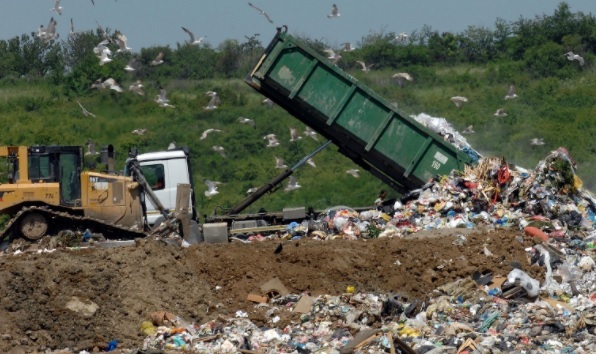 A no-deal Brexit could worsen the UK's waste capacity shortage, according to DEFRA guidance. Without a deal, the EU would treat the UK in the same way as any country party to the Basel Convention on waste trading, DEFRA notes. This means export and import licences issued by the UK would no longer be valid within the EU-27 and licences issued by remaining EU members would no longer apply for waste imported into the UK. The UK’s four gas distribution companies Cadent, SGN, Northern Gas Networks and Wales & West Utilities pledged to "join forces" to support an expected surge in biomethane production ahead of a 2020 cut off for financial support. The companies base the expected increase on the 48 applications logged with Ofgem to operate new biomethane-producing plants and receive support under this year’s overhauled RHI scheme. 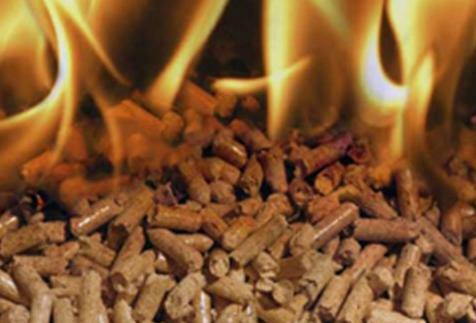 The new plants, which would also cost about £400m (€456m) in total, must be completed by 31 January 2020 to receive RHI funding. Ireland’s environment minister, Denis Naughten, says the country is facing an "emergency situation" as landfill capacity has run out and waste has "nowhere" to go. Ireland has been closing landfills in recent years. The country had 127 working sites in 2011 but this has since fallen to just five, according to the Environmental Protection Agency’s website. Biogas trade body ADBA and investor Privilege Finance say on-farm biogas plants offer "multi-million-pound financial opportunities" across the UK. They also said that of the 54 new biogas plants commissioned in 2017, more than "three-quarters" were agricultural-related facilities. And with a "further 300" on-farm biogas plants having received planning permission, there is potential for the number of on-farm facilities to increase "ten-fold over the coming years", according to the two. The amount of biomethane in Sweden’s gas network reached 18.6% of the overall volume in the first half of this year, according to the country’s gas grid operator Swedegas. When biomethane supplied through distribution networks linked to the main transmission network is included, the total volume in the system reaches 22.4%. However, biomethane is "increasingly" imported from other European countries. Danish political party 3F claimed Polish workers on the biomass conversion of Ørsted’s Asnæs Power Station were paid 67% less than their Danish counterparts doing the same job. According to 3F, the low pay for the Polish workers is also bad news for Danish workers because they are then "squeezed" on pay too. A spokesperson for Ørsted told ENDS it did not have "any further comments". Utility company Helen said it is "ready to give up on coal" after the Finnish government said it wanted to phase it out. It said it had already started abandoning coal in 2015 by saying it would close the Hanasaari power plant by the end of 2024. However, the decision has meant the company’s capacities will be reduced by 870MWth and 380MWe. To compensate "one to two" biomass-fired heating plants are needed, which Helen said would be an investment of half a billion euros. France-base construction firm Bouygues has said a "worsened" financial situation hit the business in the third quarter of this year, forcing it to reassess its 2018 operating profit. The company said two UK-based RDF plants that it was building "experienced difficulties during the recent testing and commissioning phases". The first is the 10MWe RDF gasification facility being developed for AssetGen Partners in Hoddesdon, Hertfordshire, and the second plant will supply Bombardier Aerospace’s manufacturing plant as well as send power to the grid. UK-based infrastructure specialist Pioneer Point Partners announced it has bought EfW facility developer Brockwell Energy for an undisclosed fee from Hargreaves Services. Brockwell is developing a 200,000t/yr, 22MWe waste-fired plant in the former Westfield opencast coal mine in Fife. UK-based medical waste company Healthcare Environmental Services said a backlog of medical waste will be "aggravated" by the decision by 15 NHS Trusts to terminate its contracts. HES further said the decision could lead to waste disposal "standards being compromised with potential risk to public health". It also said waste would be "transported hundreds of miles" to other regions, which it questioned both the safety and environmental benefits of doing. UK-based Active Energy Group confirmed it had agreed to form a joint venture with US-based Georgia Renewable Power. The wide-reaching agreement includes installing Active’s Coalswitch technology at Georgia’s biomass-fired plant in, North Carolina, before the end of the year and at two under-construction plants in Georgia over the following 36 months. France-based Métropole Nice Côte d'Azur has halted tender for more than €1bn covering the operation and an overhaul of an EfW plant in Nice. Had the contract for the EfW plant, which has a capacity of 20MWe, been awarded it was planned to last for 240 months and included renovation of the plant. 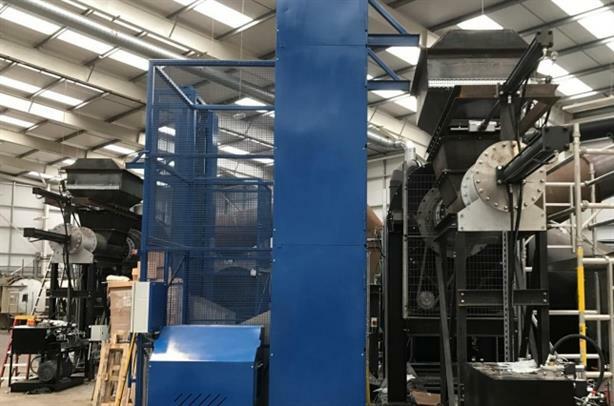 UK-based biomass business VerdEnergy said it has completed a major expansion plan involving new trucks and supply depot. The company bought two specialised delivery trucks and created a new supply depot at Forcett, near Scotch Corner. The company, which was founded in 2015, already has supply hubs at Tockwith and Howden in East Riding from where it supplies more than 500 customers with up to 15,000t/yr of biomass. Waste businesses Geminor and RiverRidge signed a deal to export 60,000t/yr of waste-derived fuels from Northern Ireland across Europe. RiverRidge produces both SRF and RDF which Geminor will supply to energy recovery facilities and for cement production in Sweden and Denmark. Estonia-based Graanul Invest confirmed it had sold its biomass-fired heating plants to utility company Adven Eesti for an undisclosed fee and as a result "left" the heat production sector. Adven has taken over three facilities supplying district heat to the Kose district area. The plants are located in Kose, Kose-Uuemõisa and Ravila and have a total capacity of 5.5MW. Adven has also acquired another seven boiler plants from Grannul with a total capacity of 9MW situated across Estonia, which were setup to supply commercial customers. CooperOstlund confirmed it has a deal to retrofit biogas-powered cogeneration plants owned by UK-based Anglian Water. The contract, for which no financial terms were disclosed, will see new control panels retrofitted to five the systems at sites in Basildon, Whitlingham, Colchester and Great Billing. According to CooperOstlund the work will be completed "over the coming weeks". Utility company Wessex Water’s renewable energy arm GENeco is to invest in a second biomethane-producing facility from biogas company Malmberg. Sweden-based Malmberg said it would install the biomethane upgrading equipment at Wessex’s Trowbridge wastewater recycling centre.This is GENeco’s second plant supplied by Malmberg, the first one was built in Avonmouth. Danish biogas plant operator Nature Energy and industrial gas manufacturer Strandmøllen signed a deal to supply CO2 from what will be the world’s largest biogas plant in Korskro near to Esbjerg. The plant, which is due to be operational early next year, will be able to supply up to 25% of the entire of Denmark’s CO2 demand, reducing the need to import up to 65,000t/yr. The facility will eventually process 1,050,000t/yr and produce about 36.1 million m3 of biogas and digestate per year. Utility company SSE announced plans to begin clearing the site for its new Slough Multifuel facility, which was given planning consent back in 2015. The company said it would knock down "part" of the biomass-fired Slough Heat and Power Plant on the Slough Trading Estate, which will make way for the multifuel-fired plant. Keltbray has been appointed as principal contractor for the demolition work, which will make way for the new plant that can process up to 480,000t/yr of waste and have capacities of 50MWe and 20MWth. 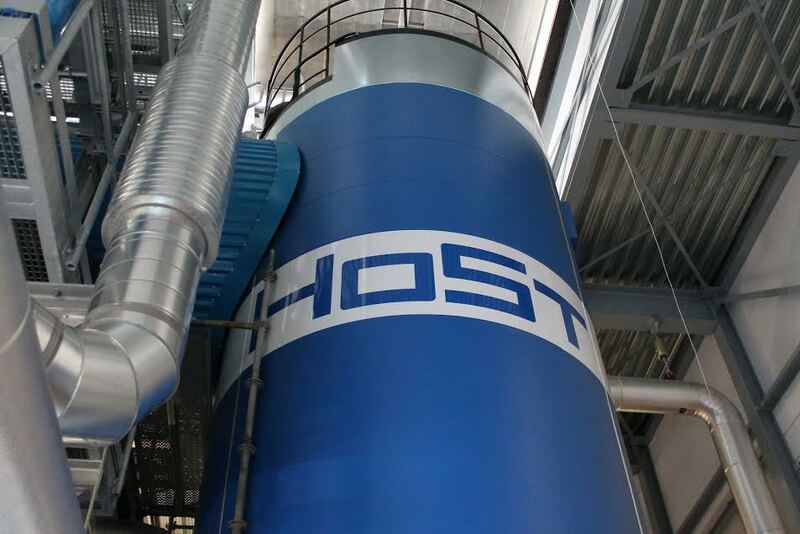 Dutch bioenergy plant developer Host revealed it has completed a biomass-fired heating plant in Lelystad. The woodchip-fired plant, which has a capacity of 15MWth can be ramped up at peak times to 20MWth. EfW plant developer North Beck Energy said it secured planning consent for a facility to process up to 500,000t/yr of waste. The company said North East Lincolnshire Council issued a decision allowing the EfW plant to move to construction. 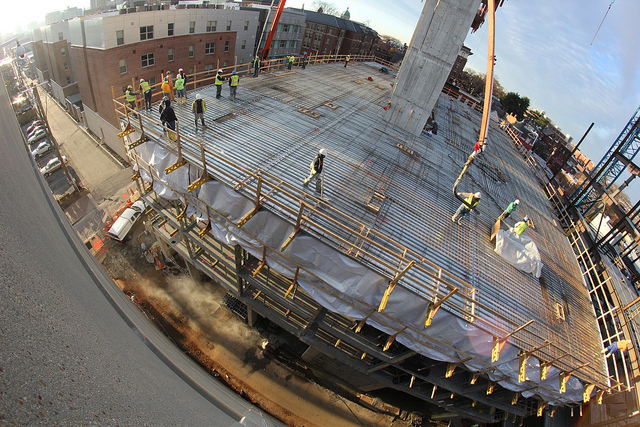 The facility will have a capacity of 49.5MWe and could move to construction next year. EfW plant developer CoGen secured a deal with a landowner to extend a timescale for developing a facility in Coatbridge, Lanarkshire. While the facility has full planning consent, which was granted to Shore Energy in 2015, when CoGen took over the development last year it decided to overhaul the plans and replied for permission. Cogen plans to increase the plant’s capacity to 27MWe and its feedstock processing capacity by 24,000t/yr to a total of 204,000t/yr. However, these new plans were first turned down by North Lanarkshire Council in April and then again in June. Leaving CoGen awaiting a final decision after appealing to Scottish ministers, and needing to extend the timescale. The vast new EfW facility planned by the North London Waste Authority (NWLA) will be funded through direct public borrowing. The funding announcement is an important step in the project as it "enables" companies interested in bidding for construction of the new plant to understand the basis on which bids will be sought. NLWA also said a "final selection" on a public funding source would be made in "due course". The plant is planned to have a capacity of 70MWe and process up to 700,000t/yr of waste. NLWA expects it to be operating by the end of 2025 or, at the latest, the end of 2027. Acsm Agam’s plans to mark the 50th anniversary of its EfW plant in Como, Italy, were postponed after a worker was seriously injured in an accident. The accident, which left a worker with an injured leg, occurred on the same day the 90,000t/yr EfW plant was due to mark its half century. Finland-based Stora Enso and Gasum revealed they were working together to deliver a large-scale liquified biogas plant in Sweden. Utility company Gasum will build and operate the facility, which will process waterwater from Stora’s mill to produce renewable energy. The plant is expected to produce 220MWh of liquefied biogas per day and is expected to be open in 2020. Switzerland-based Hitachi Zosen Inova revealed it signed a contract to deliver what will be the 22nd Kompogas plant to be built in Germany. The latest plant will be supplied in Anröchte for waste firm Entsorgungswirtschaft Soest (ESG) after HZI secured the tender. No financial terms were released. Lithuania-based Enerstena says it shipped the equipment for a biomass-fired build to to Latvia. The company said AmberBirch had ordered the wood processing plant, which is being constructed in Jekabpils, south-eastern Latvia. No financial terms of the deal, which cover a 5MW biomass-fired steam boiler, were disclosed. Enerstena also said the deal was its eighth contract win in Latvia. UK-based utility firm Yorkshire Water says it generated enough electricity to power 3,600 homes from its Bradford-based innovative thermal hydrolysis plant that produces energy from sludge. The plant, which opened in 2014, generated 490MWh of power in September. UK-based PowerHouse Energy revealed certification body DNV GL has backed its waste-processing technology. As a result of the assessment, DNV GL issued the technology with a statement of feasibility, which means the certification body sees no reason why the technology cannot be successfully marketed. The company has developed a thermal conversion chamber process at the Thornton Science Park in Cheshire. Finnish utility Lounavoima issued a tender for the supply of waste-handling cranes, electrification, automation and instrumentation systems for its EfW plant being built in Korvenmäki, Salo. The new plant will be designed to process 120,000t/yr of waste and is being tendered in six lots. The company has previously tendered elements of the EfW plant build. Firefighters were called to the Måbjerg multifuel-fired cogeneration plant after what the power plant said was a small fire. The plant has three lines, two of which process waste. A third line was converted to biomass from natural gas in 2005. Utility company Vantaan Energia issued an update on the progress of converting its natural gas and oil-fired Martinlaakso power plant to biomass. Currently, work on electrification and automation of the facility was taking place, while its woodchip feedstock storage was also close to being completed. According to the update, if "everything goes as planned" test runs and firings will start next month with the plant scheduled to produce heat and power from biomass in "early 2019". Overall, the plant has capacities of 195MWe and 390MWth. Italy-based Frullo Energy Environment tendered a €800,000 deal to supply equipment to its Bologna-based EfW plant. The tender covers the supply of two superheating banks and related lifting supports for steam generators of the boilers for the Granarolo dell'Emilia facility. The work will take place at the two-line facility, which began operating in 1973. The plant can process about 300 tonnes per day and generates both electricity and heat. Denmark-based Ørsted’s Studstrup Power Station marked its 50th birthday this month. The plant, which was converted to fire on biomass in October 2016, was opened by Denmark’s crown princess Margrethe now queen Margrethe II in 1986. The facility, which was originally fired on coal, is one of a number of large-scale facilities Ørsted has or is converting to biomass in order to phase out the use of coal by 2023. The second kiln at Cemex's South Ferriby plant in North Lincolnshire, UK is due to be brought back into production this November and will fire on waste-derived feedstock. Together the two kilns can produce more than 700,000 tonnes of cement a year by processing SRF. The kiln, which was originally built in 1973, was the first Cemex kiln globally to achieve 100% alternative fuel usage in 2011. Finland-based Valmet agreed a deal to supply Clariant with its BioTrac biomass pretreatment system for its new sunliquid cellulosic bioethanol plant in Romania. The new plant will produce 50,000t/yr of cellulosic bioethanol and aims to be a flagship for Clariant's sunliquid technology. Construction on the facility started last month and start-up is planned for 2020, but no financial terms of Valmet’s new contract were disclosed. England’s Environment Agency opened a second consultation into an environmental permit for a planned Kelvin Energy Energy Recycling plant after the first was withdrawn. Developer Verus Energy Oak is taking the EfW plant forward. The permit documents reveal the plant will have nominal design capacity to treat 360,000t/yr, but would be designed to process up to a maximum capacity of 400,000t/yr. Spain-based Acciona secured the contract to build what would be the biggest EfW plant in Australia. The plant will be built in the Kwinana industrial area, about 40 kilometres south of Perth. Acciona also said it was part of a consortium to design, build, operate and maintain the facility, which will include operations and maintenance run by France-based Veolia. Belgium-based Keppel Seghers has also said it will provide the core equipment, design and technical services for the plant's furnace, boiler and flue gas treatment. The plant, which is a worth about €435m, will process 400,000t/yr and have a capacity of 36MWe. 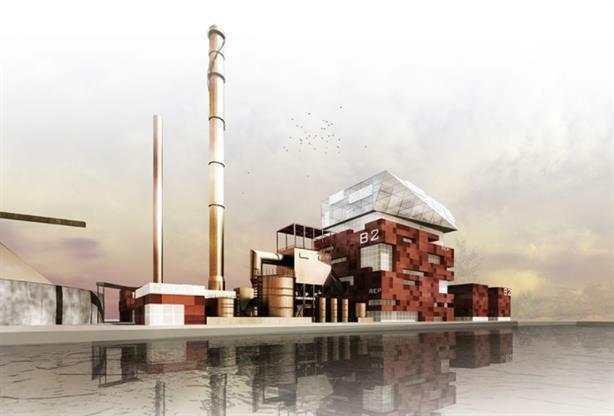 Netherlands-based SVP Productie tendered for a new biomass-fired heating plant, which it wants to build in Purmerend. The tender indicates the contract would start in November next year and be completed over a 12-month period. The plant’s potential feedstock capacity or financial terms for the tender were not given. 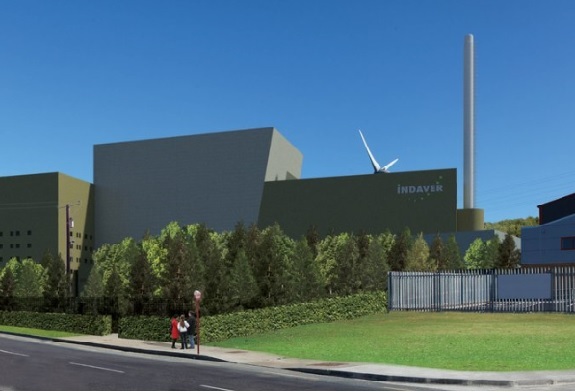 Ireland-based planning body Bord Pleanala has been granted a one-month extension that has pushed back the judicial review of Indaver’s Cork-based EfW plant to 19 March next year. Bord Pleanala controversially backed the plant earlier this year after missing ten self-set deadlines. The court had asked Bord Pleanala for information, but it missed another deadline this month to supply it. The plant is due to have a capacity of 18.5MWe and process up to 240,000t/yr of waste, should the judicial review not derail the scheme.